This is one of those “in-a-hurry” dinners I’ve been eating and enjoying since I was a kid. My mom used to make these for us and we always thought they were a real treat! Now, even my husband likes them on those nights when we just want something really fast and easy. Even if you make too many of these, they are good warmed up the next day. So bake up a whole batch and enjoy the leftovers too! 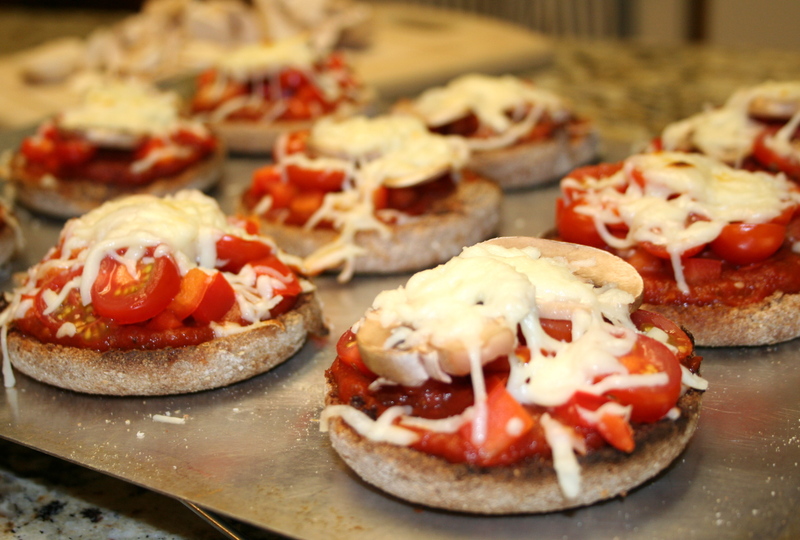 Whatever other pizza toppings you like! 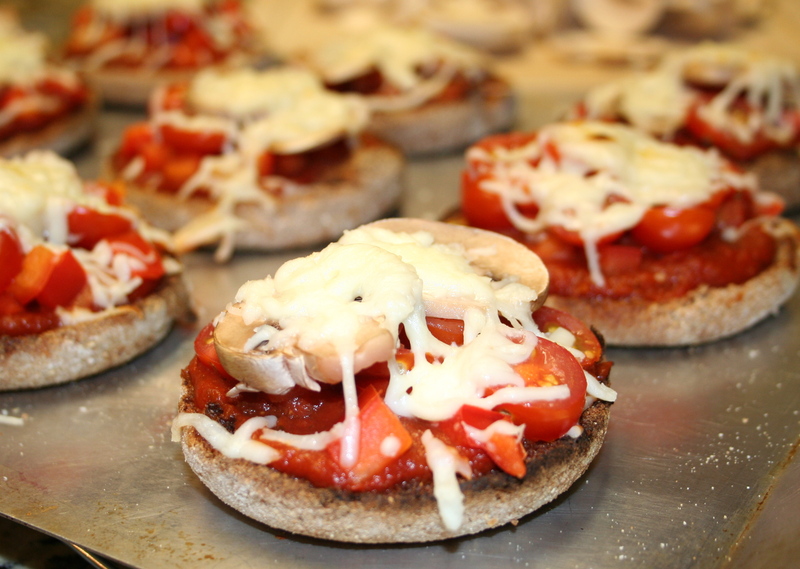 Toast your english muffins in the toaster or toaster oven. 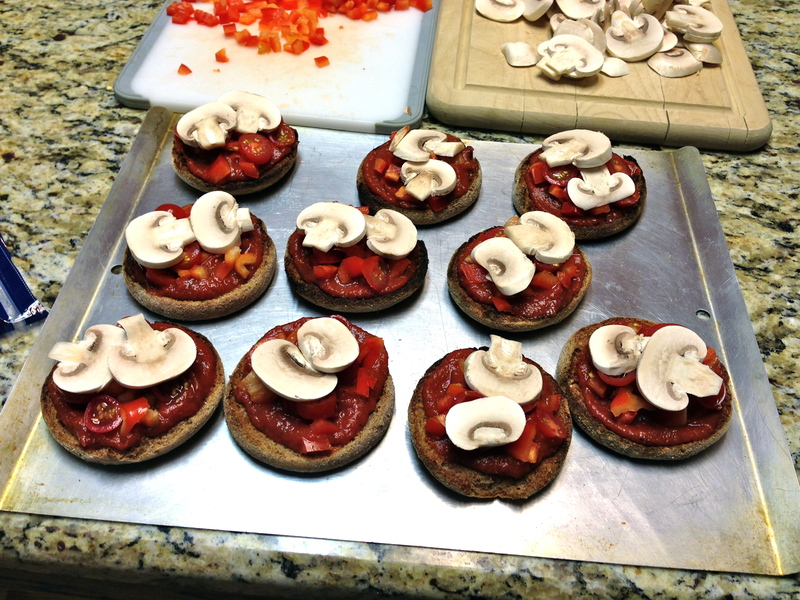 Then add pizza sauce, red bell pepper, tomatoes, mushrooms or whatever other toppings you like! 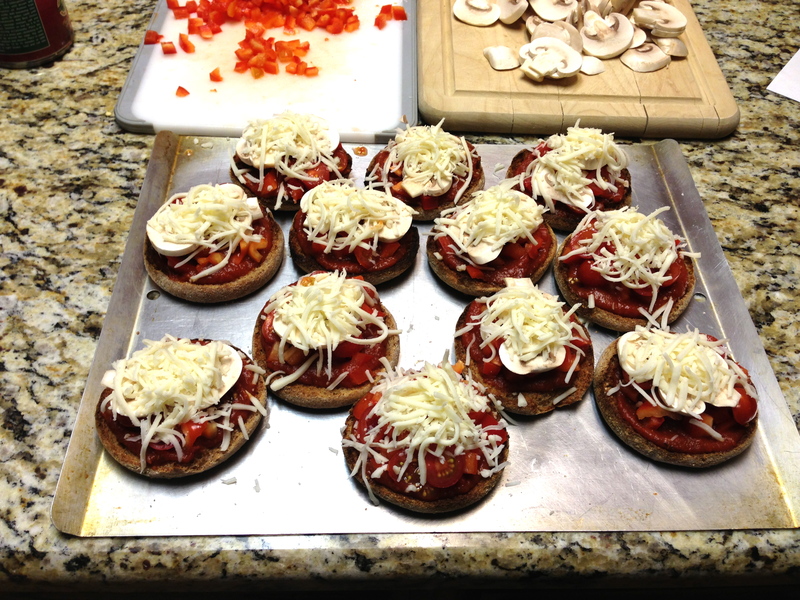 Place them under the broiler in the oven or toaster oven until cheese is melted and toppings are warmed. Hey that’s great Nikki! I like to keep my english muffins in the freezer and then I just thaw them when I need them. That’s neat that you call them breakfast muffins. Delicious! I do a similar thing with pitas as the base often!